Memorial Day is just a couple of weeks away (May 28th if you’ve forgotten), and whether you’re new to CrossFit or not, you’ve probably heard about Murph at some point. In case you’re unfamiliar, “Murph” is a classic CrossFit workout known as a Hero WOD. 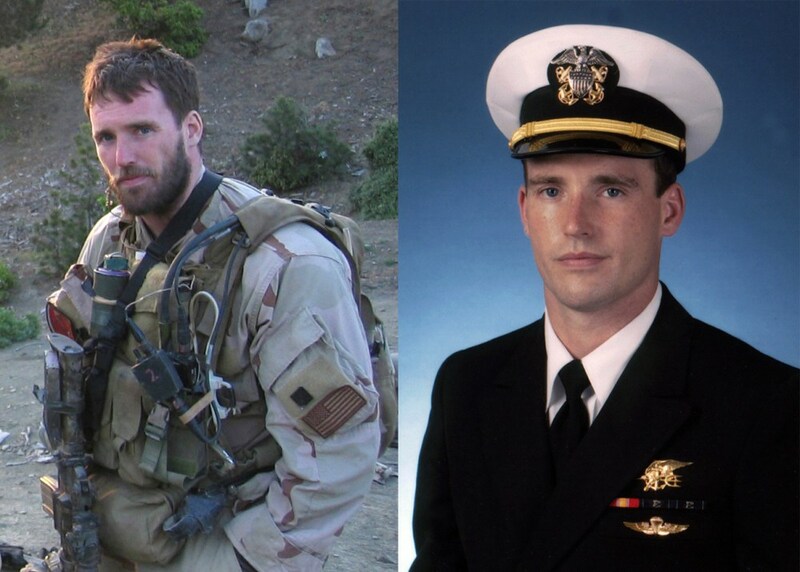 Hero WOD’s are made by CrossFit to honor the men and women that have fallen in the line of duty. This one is specifically to honor Navy Lieutenant Michael Murphy, who was killed in action in Afghanistan on June 28th, 2005. Crazy story right? Now it’s all starting to make a little more sense on why CrossFitters make a big deal out of Memorial Day and Murph. It’s the least we can do to honor the courage and selfless sacrifice that was made that day. On paper, it might not look TOO bad. It might take most people awhile to finish, but it can slowly be chipped away at compared to a workout with ridiculously heavy weights, complicated skill required movements, etc. In fact, we did a post not too long ago about the most difficult Hero workouts which you can see here. “Murph” is the 2nd most popular Hero workout on BTWB, second to “DT”. First, there’s two methods of finishing Murph. While you have to start and finish with a 1 mile run, the 100 pull-ups, 200 push-ups, and 300 air squats can either be done in order, or partitioned. The most common strategy is to partition the reps into 20 rounds of “Cindy” or 5 pull-ups, 10 push-ups, and 15 air squats. If you’re really trying to maximize your time and don’t think you can do 20 rounds of 10 push-ups unbroken, you can split the push-ups around the air squats. So you would do 20 rounds of: 5 pull-ups, 5 push-ups, 15 air squats, 5 push-ups. Performing “Murph” in the un-partitioned manner is the more difficult of the strategies, as the push-ups will be the part that will have lots of rest in between sets. The partitioned way lets you chip away at the other movements while your push-ups take a break. The other variation about Murph is that it’s performed either with a weight vest, or without. The prescription hints to use one if you have one, but, if you don’t have one, then you don’t have a choice. There’s a ton of variation in completion time between the two options. Below is roughly the average time of completion without a weight vest. The average time being around 48 minutes for Men and 52 minutes for Women. Now, add a weight vest, and this workout is a whole different beast. Take a look at the 2016 CrossFit Games athletes. They literally had to do Murph in weight vests, and needless to say, it did not look easy. Murph was first programmed on CrossFit’s Main Site on August 18th, 2005. It’s hard to say when exactly it became a tradition for gyms to program Murph on Memorial Day. In 2007, Josh Appel, an Air Force pararescue jumper who led the team that jumped to rescue Lt. Murphy’s team, brought the idea to his gym, Albany CrossFit, and the rest of the CrossFit community followed suit. 10 years later it’s an honored tradition for gyms to close on Memorial Day, running only Murph as their workout, often followed by a barbecue or other community bonding event. In 2015, Murph made the leap from gym tradition to a CrossFit Games event and made history once again. Dave Castro programmed the grueling workout (UNPARTITIONED) to celebrate the 10th anniversary of the Games, and it happened to fall during midday in the California heat. 2015 Murph was notable on many levels, but none more than the impact it had on the competitors- Annie Thorisdottir and Kara Webb were both visibly beaten by the workout, with Annie having to withdraw from competition, and Kara Webb passing out directly after the event and receiving treatment for heatstroke. Sam Briggs won the Women’s side with a time of 39:10, while Björgvin Karl Guðmundsson was the Men’s winner, with a time of 38:36. Castro programmed Murph AGAIN in 2016 and both vindicated his programming methodology and showed the amazing adaptability and resilience of CrossFit Games athletes. (It also helped that it was held earlier in the day to avoid the glaring midday sun.) The 2nd go around for Murph went off without a hitch with the athletes looking far better prepared and mentally ready for the long haul. Kari Pearce took the top women’s spot with a time of 36:42, while former SEAL Josh Bridges won the men’s side with a time of 34:38. Not only will Lieutenant Murphy’s actions live eternally in the CrossFit community, but he will live on in society outside of CrossFit as well. In 2007, Michael’s parents, Dan & Maureen, and his brother Michael created the LT Michael P. Murphy Memorial Scholarship Foundation. “Michael was an avid reader and felt that education was key, in fact his favorite saying was “Education will set you free”. That is why the Murphy Family used their own funds to start the Foundation. The Foundation is funded through donations to them and proceeds made from The Murph Challenge fundraiser held every year. In a more main-stream path, the movie Lone Survivor was released in 2013, which tells the story of Michael Murphy and his men based off the book written by Marcus Luttrell, the lone surviving SEAL from Murphy’s group from that fateful day. So, if you’ve got no plans that weekend, perhaps you can spend it reading Luttrell’s book, watching Lone Survivor, and then sweatin’ and sufferin’ on Memorial Day with your crew doing “Murph”. Just remember the real reason we acknowledge this day. Not just for some BBQ’s, but for ‘Merica.